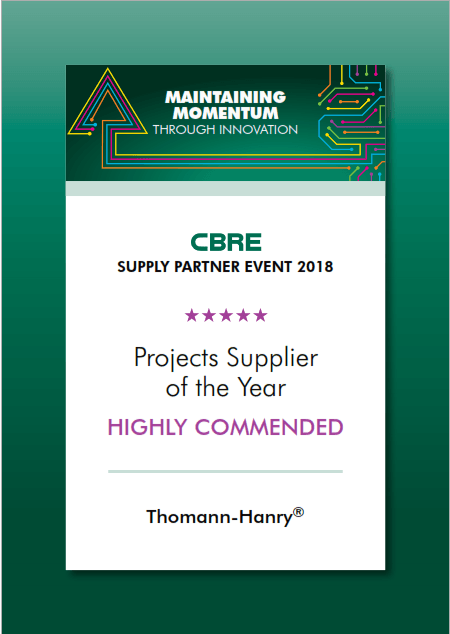 Thomann-Hanry® attended CBRE’s preferred suppliers event, having been also nominated for the ‘Best Projects Supplier Award’ this year. 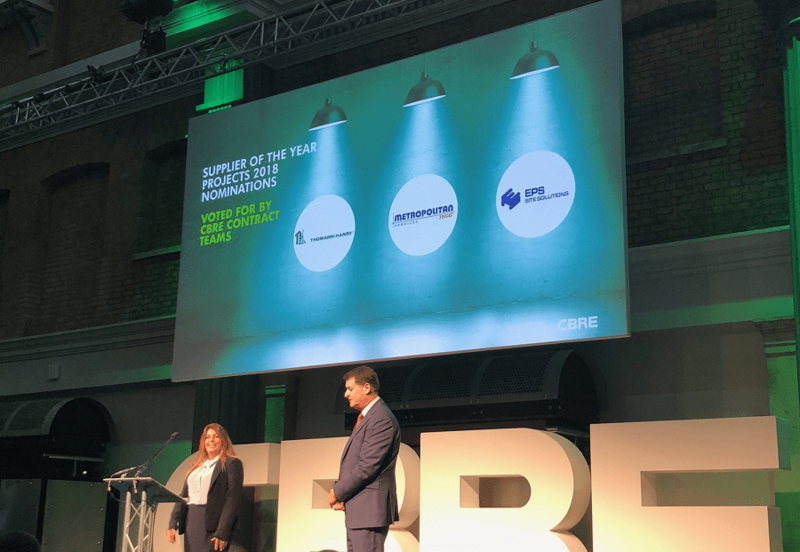 Held at Old Billingsgate Market in London, the exclusive networking event is hosted annually and sees 100 of over 400 of CBRE’s preferred suppliers invited each year. Approximately 1,000 CBRE delegates attended the event, along with a number of CBRE’s clients and guests. The event is held for CBRE’s specially selected supply chain partners, allowing project and contract managers to liaise with them face-to-face. This enables both parties to establish strong business connections and working relationships, ensuring the growth of businesses attending the event and continued success in working together in the future. CBRE is an international property service company that Thomann-Hanry® have been working with since 2008. In 2017, Thomann-Hanry® became a preferred supplier, meaning that CBRE recommend us as one of their top facade restoration partners across the UK. Thomann-Hanry® are currently working on multiple contracts with CBRE, including ongoing works at Woolgate Exchange (Portigon Building). 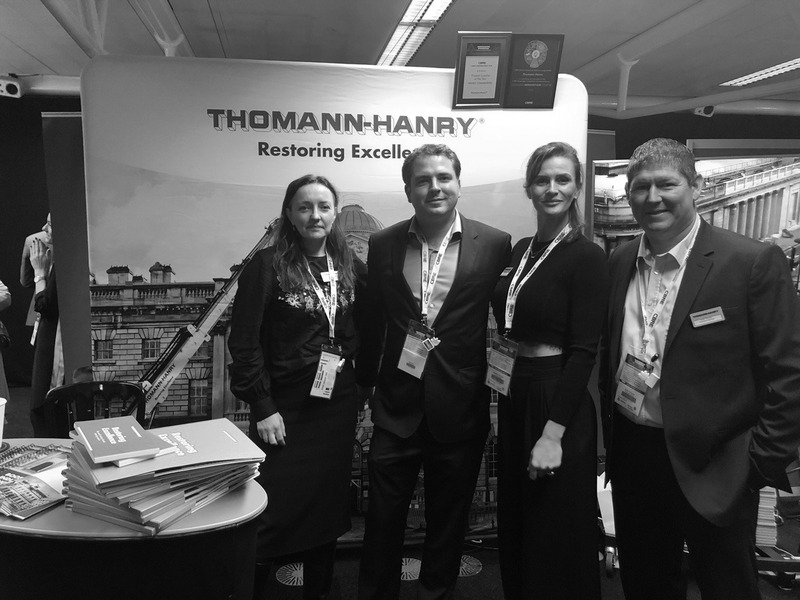 Business Development Managers Emma Cull (left) and Andy Thomas (right), Managing Director Mark Styles and Senior PR and Marketing Manager Claudia Colombo representing Thomann-Hanry®’s team at the event.